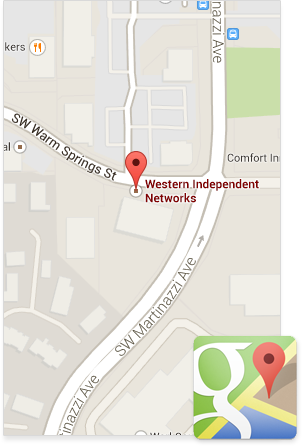 Western Independent Networks, Inc. offers a state-of-the-art transport network throughout Oregon and the greater Northwestern region. We are your solution for robust fiber and Ethernet connectivity throughout our footprint, offering access to metro and rural communities alike. We leverage the networks of our twenty-five shareholder companies to provide reliable, best-in-class telecommunications products and services. In today’s changing environment, it is more important than ever to know when to keep requirements in-house and when to collaborate. In regards to your network, if you’re looking for cost savings, performance improvements, or new revenue, it’s time to take a fresh look at Western Independent Network. WIN has turned the corner in its ability to help address the challenges you face. Give us a call to hear more about our proven tools, solutions, and capabilities.